Ava Winery’s new synthetic wine doesn’t taste half bad. It doesn’t taste half bad. San Francisco–based company Ava Winery is attempting to replicate existing high-quality wines, offering a luxury good at a lower cost. The possibility of synthetic wine comes at a time when the industry is actually moving away from the use of technological manipulation, in part a reaction to the fruit-driven “international style” that arose in the ’90s. The international style refers to the fact that thanks to scientific research, it became possible for most wine regions to produce rich, easy-drinking, similar-tasting wines. Critics of the style feel that it sacrifices terroir, the unique character a wine derives from the sum of its climate, soil, and other localized factors. Natural wine represents the further reaches of this turn toward preserving terroir by strict minimization of technological and chemical interventions both in the vineyard and the winery. Among other things, natural winemakers use whatever yeast is present in the vineyard’s air, reduce or eliminate the use of sulfites and other additives, and generally seek to be as hands off as possible during the entire production process. However, Lee is optimistic that the wines Ava is creating will have their place and even that debates about winemaking could eventually become academic. He pointed out that the vast majority of vanilla used is synthetic, for instance. After taking a sip, we all agreed that what was in the glass was balanced and fairly appealing. “They’ve passed the first hurdle. They produced something that tastes like wine,” said Jensen. For comparison, I opened a 2015 Saracco Moscato d’Asti that I’d bought for $18, and while we all felt that the Saracco had more complexity, the two wines weren’t all that far apart. Tensley said he could easily see himself buying a bottle of Ava’s moscato to drink on a Friday night with friends. As we all continued tasting the two moscatos and discussing whether a synthetic wine could sell, Jensen made a key point: “Most consumers are unaware of just how much the wines they buy are doctored.” Winemakers can add a host of enzymes, sugars, acidifiers, and other chemicals to achieve desired effects. They can order special strains of yeast to achieve certain taste profiles, and techniques such as micro-oxygenation and reverse osmosis further change the flavor and feel of wines. 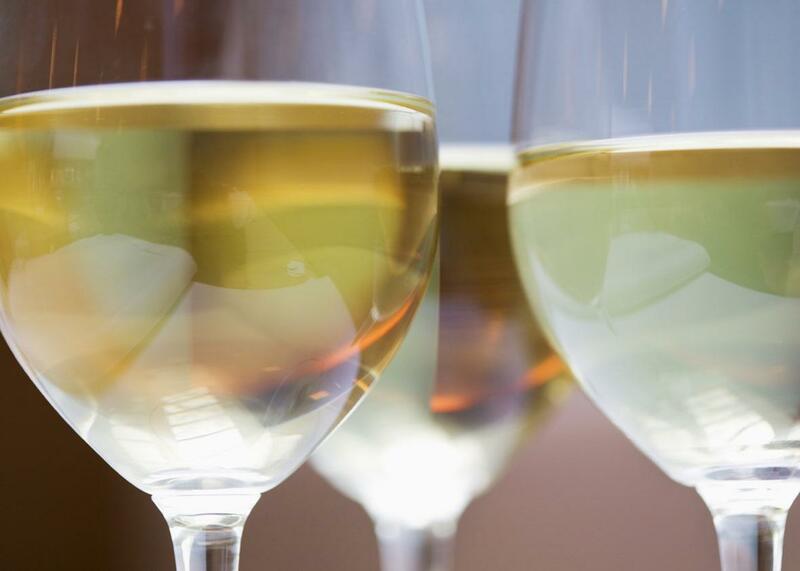 As wine writer Alice Feiring has said, “A winemaker can easily make Muscadet taste like Chardonnay,” two wines that are usually very far apart in taste. From this perspective, the manipulated wines that many of us buy at grocery stores begin to seem not that distant from lab-made wine. “In fact, the Ava wine reminds me of a mass-produced wine,” said Jensen. While Ava may have pulled off a moscato, other wines will be tougher: “Moscato was a big target to aim at the first time out, with the sweetness, the carbonation, and the high aromatics.” He’s somewhat skeptical of how far this can reasonably go, though. “I don’t want to say that wine is irreducibly complex … but I kind of do,” he said. Ava is just getting started, though. Currently in the works is a copy of a 2014 California cabernet that retails for about $100 a bottle. Lee says the company also has historical wine projects in the pipeline. It will be a challenge: A wine can contain hundreds of compounds, and their interactions with one another to produce a wine of distinction have long eluded easy scientific understanding. But I’m going to hold out hope that it could, one day, give me a chance to drink a close approximation of an expensive bottle I’d otherwise never have a chance to experience, say, a 1982 Petrus (which, in good condition, would cost about $4,000). That would be an experience worth having, even for a committed wine Luddite. I can always open a bottle of that hand-harvested wine from a small vineyard in Sicily the following night.